[Podcast] Vancouver: Consumption City Forever? 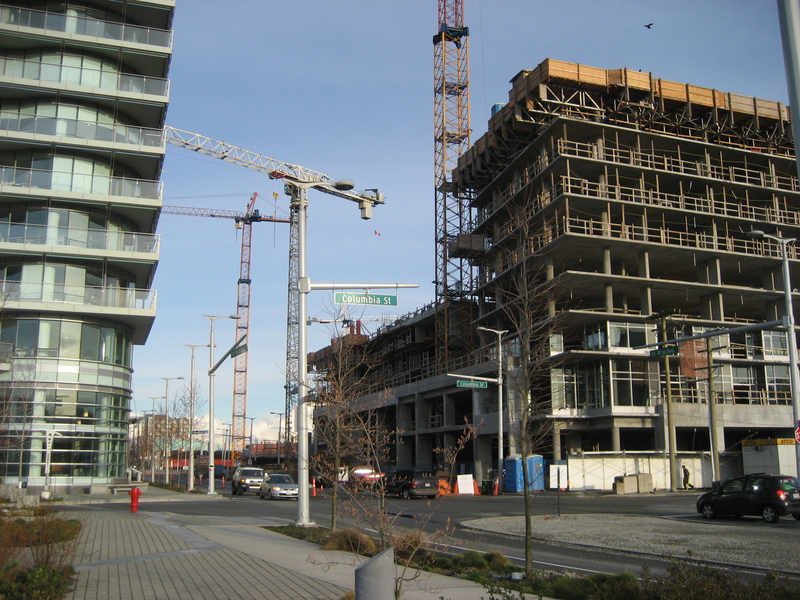 On the program, the second part of the conversation with urban economic geographer Elliot Siemiatycki about Vancouver’s transformation from a productive city into a city of consumption, dominated increasingly by real estate and tourism. We discuss what the future might hold for Vancouver as a city of consumption – and whether it might be advantageous for the city to chart an alternative economic path forward. Dr. Elliot Siemiatycki is a postdoctoral fellow at York University in Toronto, and he completed his PhD from the University of British Columbia in 2013. His PhD research examined Vancouver’s urban economic transformation over the last three decades in his dissertation – Consumption City: Precarious Labour and Capital in Vancouver, British Columbia. Trump Tower Vancouver construction. Photo by Andy Longhurst. Never miss an episode! Subscribe to the podcast here to receive a weekly automatic download. On the podcast, urban economic geographer Elliot Siemiatycki discusses Vancouver’s transformation from a productive city into a city of consumption, dominated increasingly by real estate and tourism. 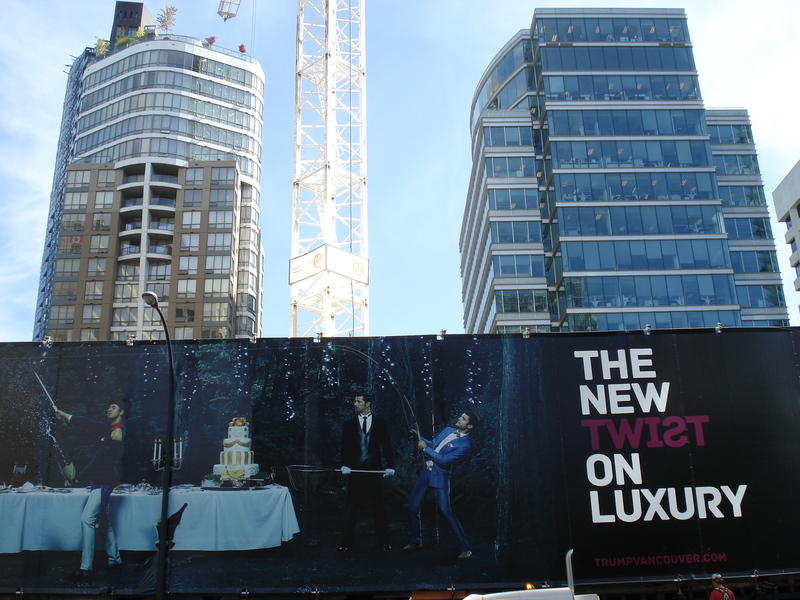 We examine how the city’s structure, feel, and image of itself have shifted over the last three decades – and how the rise of precarious employment is implicated in this transformation. 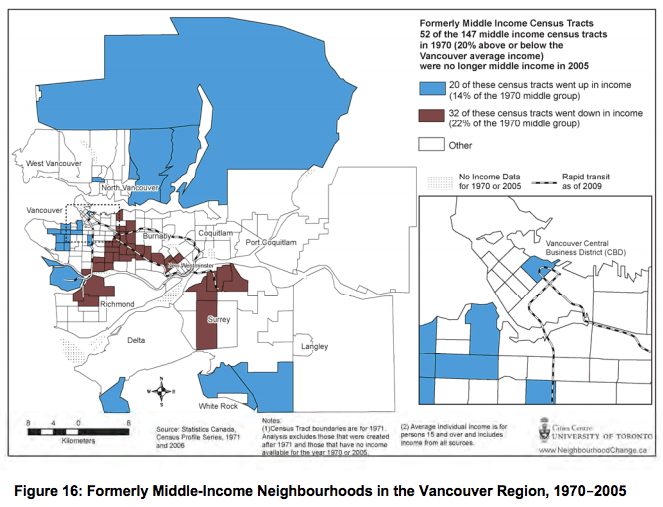 UBC geography professor David Ley and geographer Nicholas Lynch co-authored a recent study, Divisions and Disparities in Lotus Land: Socio-Spatial Income Polarization in Greater Vancouver, 1970-2005. Nicholas Lynch presents the worrisome findings of the study, as we see an increasingly divided Vancouver and a disappearing middle class. He discusses the social geography of polarization across the region, the implications, and possible policy solutions.